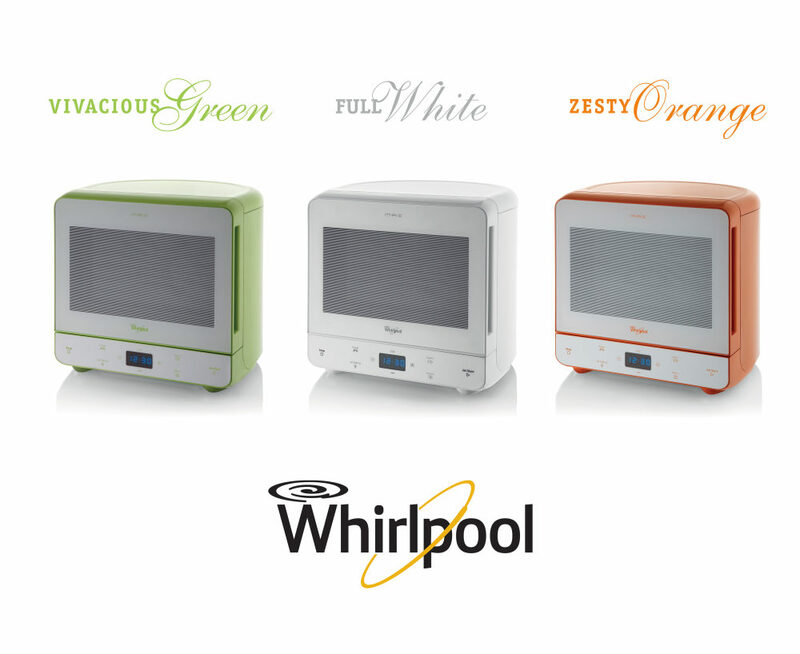 The Whirlpool MAX Collection of cool and funky microwave ovens are stylish, highly practical and functional and are available in stunning sunny, summer colours, Zesty Orange and Vivacious Green. The latest addition to the range is a refreshing and shining Full White. Behind the colour there is much creativity in these imaginative Whirlpool models. Their curved-back design makes them genuinely unique in terms of their ability to be sited virtually in any corner of the kitchen worktop. Compact on the outside and an incredibly spacious interior, MAX is the only microwave oven that can be positioned in a corner and with a width of just 39 cms still takes a dinner-sized plate of up to 28cm in diameter. But there is even more to get steamed up about as the MAX Collection includes a healthy steam function that works with a specially designed steamer accessory. This is used with pre-programmed settings to prepare nutritious dishes with ease. One of the oldest and healthiest ways of cooking, steam preserves the flavour and nutritional values of our favourite foods. It is probably the best and most beneficial way of cooking fish, vegetables and rice. Additionally, the MAX Collection incorporates Whirlpool’s renowned Jet Defrost feature for exceptionally fast and even defrosting. This is achieved by the revolutionary 3D Emission system, which ensures uniform and three-dimensional microwave distribution. Juliana Sado, Senior Brand Marketing Manager for Whirlpool says: “Summer and the welcome return of warm weather reminds us all of our favourite things, but perhaps the most uplifting themes are those of colour and vibrant life. Anything that brightens our spirit is going to make us smile, especially when kitchen duties beckon us on a hot day.